Entries from Digital Intelligence tagged with "philippines"
Millennial consumers worldwide lead the growing online video consumption, with average global viewership up five hours, 45 minutes per week, according to new research. There has been remarkable growth in the Asia-Pacific region, with the web audience increasing 20% in just 18 months, according to new research. 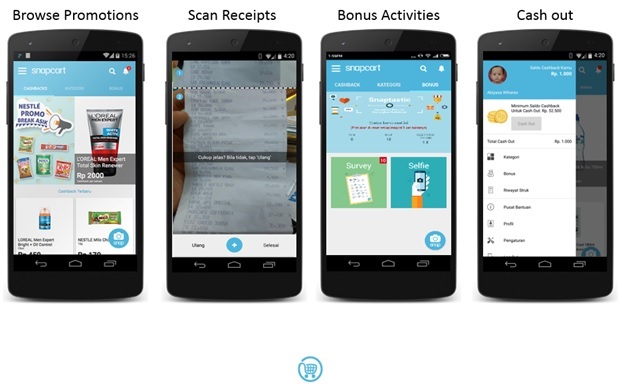 Snapcart, an Indonesian start-up app rewards people who send them photos of their shopping receipts with cash, is expanding to the Philippines. Although PCs dominate in the majority of Southeast Asia markets, use of mobile phones for online shopping is growing in popularity across the region, according to new research. Facebook is testing a new tool called ‘bandwidth targeting’ letting advertisers send ads based on the quality of a user’s network connection, moderating type of ad to whether a user is on a 2G, 3G or 4G. The news comes as mobile advertising grew to 62% of all Facebook's ad revenues in Q2 (from 41% in 2013) as the company continued to develop and enhance its mobile platform. With the fastest growing online audience in Southeast Asia, digital is booming in the Philippines- but the real growth is yet to come. Around 70% of Filipinos still don’t have access to the internet- that’s roughly 70 million people who can’t still be reached digitally. To mark Valentines Day 2014, shampoo brand Head & Shoulders partnered with Saatchi & Saatchi in the Philippines to run a hidden camera viral campaign, featuring young men a blind date with a lady (played by an actress) who has really bad dandruff. The campaign has attracted over 500,000 YouTube views so far, and has been featured in local media, including a talk show. Hizon’s Catering, a local catering company in the Philippines, used the power of digital marketing, via the web, social, search and mobile, to improve its sales. This video shows how their target customer engages with their company at different phases in their wedding planning process. Kraft Foods worked communications partner GeiserMaclang to create a ‘national thank you day’ in the Philippines to promote its Tobelerone confectionery brand. The campaign was a huge success which can be proved from the fact that official website generated nearly 500,000 hits and the Toblerone sales escalated 132%. The Philippines has been named as one of the main sources for click farms, responsible for generating fake likes for brands on social networks such as Facebook and YouTube, according to new research. To mark Valentines Day 2014, shampoo brand Head & Shoulders partnered with Saatchi & Saatchi in the Philippines to run a hidden camera viral campaign, featuring young men a blind date with a lady (played by an actress) who has really bad dandruff. Smart Corporate, Nestle, and Unilever’s Ponds were the top three most views YouTube brand channels in the Philippines during 2014, according to new data. Filipino Internet users spent 6.2 hours per day on the Internet through laptop or desktop computers and 2.8 hours through mobile devices, according to new research. Facebook has topped a ranking of smartphone apps in Southeast Asia, with LINE, WhatsApp, Google Play and Blackberry Messenger also proving popular, according to new research. Traditional media such as TV remains the most trusted form of paid advertising in the Philippines, but digital media is catching up, according to new research. The death of Paul Walker, Miss Universe, FIBA Asia, UAAP Season 76, and Wimbledon were amongst the top Google searches for the Philippines in 2013. This chart shows the growth of iOS and Android devices from January 2012 and January 2013. China no longer leads in terms of growth but still grew by 209% over the year. 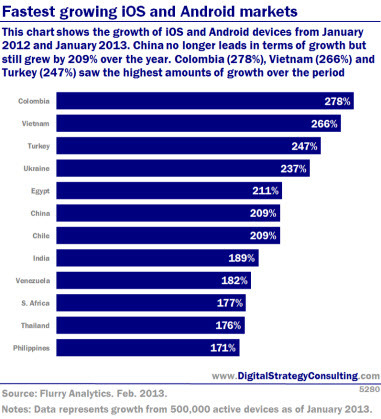 Colombia (278%), Vietnam (266%) and Turkey (247%) saw the highest amounts of growth over the period. Google has launched ‘Free Zone’, a new mobile web service aimed at giving millions of people in the developing world to access the Internet (and Google's ads) via basic mobile phones without data charges. 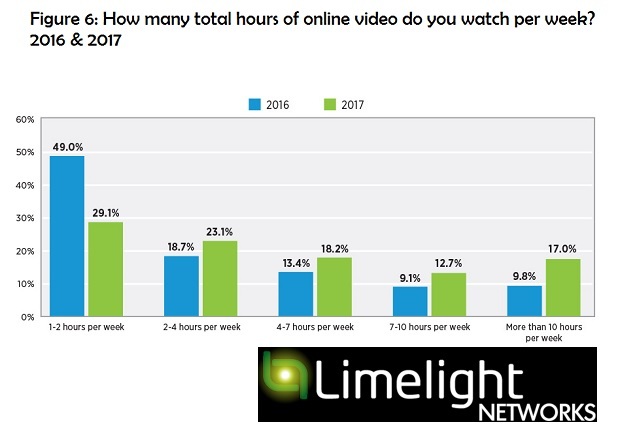 Vietnam has the highest proportion of online video viewers across the Asia Pacific region, but China dominates the market in terms of sheer numbers of viewers, according to new research. The study, from comScore, coincides with the introduction of its Video Matrix measurement service in Taiwan, Vietnam, Indonesia and the Philippines. Apple is launching iTunes online store to Hong Kong, Taiwan and 10 other Asian countries, but the online video and music store is still yet to maake an appearance in China. The move continues Apple's push to sell music and video to more users in the company's fastest growing region. 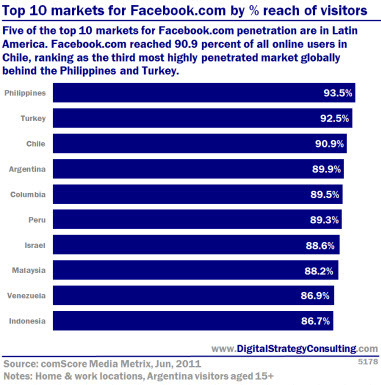 Five of the top 10 markets for Facebook penetration are in Latin America. Facebook reached 90.9% of all online users in Chile, ranking as the third most highly penetrated market globally behind Philipines and Turkey.